A major milestone has been achieved in Ontario, Canada, with the first track being installed on Toronto’s Eglinton Crosstown light rail system (LRT). Phase 1 of the 19km system – which includes a 10km underground section – will have 25 stations and is expected to open in 2021, connecting Mount Dennis station in the west with Kennedy station in the east. Once operational the LRT will carry an estimated 5,500 passengers per week. The Ontario government is fully funding the LRT to expand transit in the city of Toronto, with an investment of $5.3 billion. 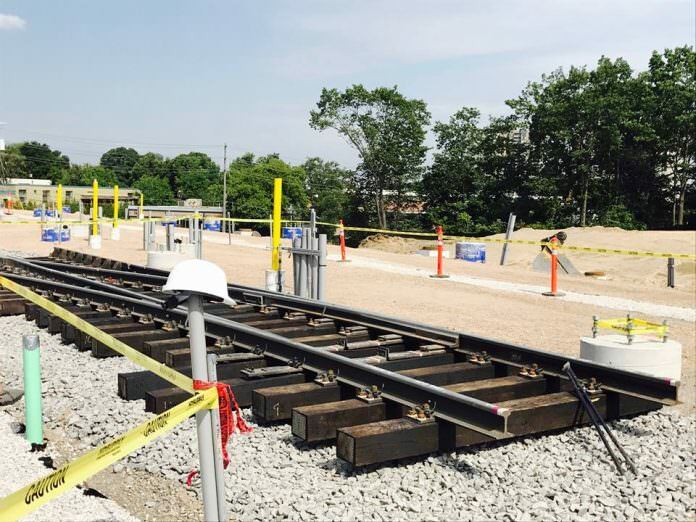 Ontario’s minister of transportation Steve Del Duca said: “The installation of the first piece of track is a significant milestone for the Eglinton Crosstown LRT project. “It is exciting to see how far we’ve come since work began in 2011.